When Dirk Nijland first took him on as a student in his class in ethno-cinematography (1976/77) at Leiden University, Steef had already embarked on a modest career as photographer for the Amsterdam Municipality and the Consumentengids. He was studying anthropology at the Free University in Amsterdam and earning his living as a cement-truck driver and later a driver of the ‘Methadone bus’ in Amsterdam. In that bus, a medical team provided a substitute for heroine to junkies. It was a world that fascinated Steef and that opened his eyes to other sections of Dutch society. Alongside his career as documentary filmmaker, and student assistant and then lecturer in Visual Ethnography at Leiden University (1980- 2015), Steef continued to work as a professional photographer. His photographs, characterized by their layeredness and dramatic tension, gave expression to his intense passion for capturing the dynamics of the real, the unexpected sides of the ordinary and the margins of society. Until the introduction of the digital camera he would swear by his Leica with separate lenses, preferably a 28 mm lens. All other cameras he perceived as inferior. Once digital cameras came on the market, he gave up this rigid stance and even preferred to work with the camera’s automatic mode, which enabled him to concentrate fully on content. 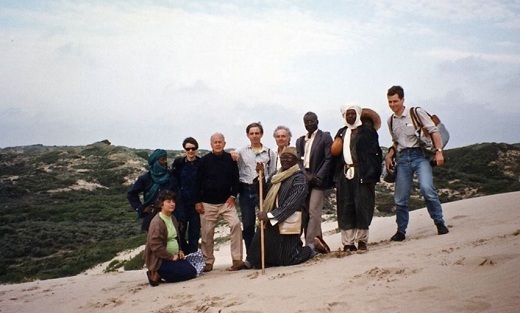 After making several documentaries abroad, in line with the anthropological tradition – Bisket Yatra, (1982), 171 guilder 15, to be spent in Africa (1994), Mamissi Kokoe (1997) – Steef decided that from then on he would seek his documentary topics solely in the Netherlands. Even though he had co-operated with anthropologists who were knowledgeable in the field, he preferred a more direct relation with his subjects. 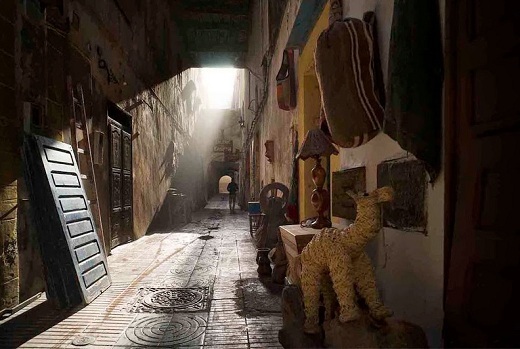 The handicap of the language barrier and of unfamiliarity with the social and cultural circumstances on location were obstacles he no longer wished to deal with. He was also convinced that the task of anthropology now lay in mediating the diverse communities and social realities in our own society. The projects that he initiated from then on would explore the way in which individuals were coping with adverse circumstances mostly in urban settings. Once he had selected his topic and carried out extensive fieldwork, he would start to look for money. Steef would never start filming until he knew there was a budget to complete the documentary. He was not against institutions funding his projects, but would always claim full freedom to show what he wanted. While he was shooting the documentary Karspel 2 (1991, 16mm 72’) together with Ton Guiking, on the dismantling of a state residential institution in Amsterdam for young people who had been taken into care, the youngsters rebelled against the institution’s staff because they felt their voice was not being heard. Steef and Ton decided to side with the youngsters and follow and film their revolt, although he had received funding from that same institution. In class, he would tell spicy tales of how he would negotiate complex issues such as convincing the institute’s board that they should allow him to show events as they happened. The time he needed to put together the necessary funding would be extensively used for research on location. None of his films were made with less than one year’s preparation, which for Steef meant: participant observation. When he shot Boarded up (2000), a series of 3 TV documentaries that showed how individuals dealt with being forced by a housing corporation to leave their apartments to make room for a new building, he had already followed the outplacement of the inhabitants from another housing estate for over a year. For his sensitive portrait of a hospice in Amsterdam, A Hospice in Amsterdam (2005), he worked as a volunteer for more than 2 years before starting to film, and for his last documentary, Smoke, Truth and Rummikub (2010), he lived in a deprived area in Schiedam for 2 years to get to know the place and its people. The latter film and some of his others premiered at the festival Beeld voor Beeld. He was a member of the advisory board of the Festival for more than a decade. Eddy Appels, the director of the festival, organized screening weekends to discuss the films that had been submitted. ‘Where other members of the board would call it a day after twenty or so films and debates, Steef always wanted to see one more film, and we almost had to cut the electricity to force him to stop. He was incredibly rigorous and passionate about film and he was very explicit. Even if he thought a film was bad, he would watch it from the beginning to the end titles. In a similar vein, Steef would coach his students. If he saw a similar passion and dedication in them, he would stand by them through thick and thin; if not, he quickly lost interest. Every year, around the third week of our course in Visual Ethnography he would force a crisis with the students that he would coach that year. He would blame them for not being dedicated enough and scold them until one or more broke down in tears. In spite of complaints by the students to the board, Steef would be satisfied: those who were made of the right stuff would gear up, those who couldn't or wouldn’t, left his group or were left to sort things out for themselves. Many of his former students who understood that strategy remember his lessons with great love and gratitude; they praise the inspiration they gained from him; how he pushed them to go deep into the field and record from within; his precision in editing; and his enthusiasm if a film lived up to his standards. Steef when shooting Rouch’s Gang (2003) on Rouch shooting Madame L’Eau. 'The high demands he made on himself became all the more clear to me when I worked with him as a camera assistant on two of his film projects in the first half of the 1990s: Rouch’s gang (1992), and 171 guilders 15 To Be Spent in Africa (1994). In later years, we shared less, workwise, but I continue to cherish the memories of the many hours we worked together’. Almost all his documentaries were shown on Dutch television. They were also widely accepted at ethnographic film festivals and regular documentary film festivals around the world, where he would also be invited to be part of selection committees and juries. For A Hospice in Amsterdam (2005) he even received a commendation at the RAI festival in Manchester. Over the years he gathered a vast amount of international colleagues who highly respected him for his work and loved him as a friend. For Dirk Nijland, Erik de Maaker, Janine Prins, and me, as his direct colleagues who taught Visual Ethnography with him, for Dolores Reeder at the film library, and for Eddy Appels, Director of the Beeld voor Beeld Festival, it is impossible to imagine the field of ethnographic documentary in the Netherlands and Visual Ethnography at Leiden University without Steef. Although he had been on sabbatical since September 2014 we met regularly, and we and all his colleagues were happy for him that he could now fully engage with his new project on the earthquake-affected area in the Groningen in the north of the Netherlands (where earthquakes occurred as a result of extensive gas extraction). He also had plans, with Gerard Persoon, to take the film Matjemosh (1963) and photos taken by the founder of Visual Anthropology at Leiden University, Adriaan Gerbrands, back to the Asmat in the village of Amanamkai in Western Papua, to record the community’s memories of that period when a Dutch anthropologist lived with them. It would supplement the lectures by Gerbrands ('Veldwerk bij de Asmat' and 'De Asmat houtsnijder als individu') that he had recorded together with Dirk Nijland in the storage rooms of the Leiden Museum for Ethnology in 1987, and that Steef edited in 1994. This project would certainly have reflected that same sense of irony that Steef liked to bring to his work, and that he had brought to filming Jean Rouch filming Madame L’Eau (1992), in the documentary Rouch’s Gang (1992) he made with Dirk Nijland and Joost Verheij. He loved to undo the reverence of famous persons, whilst at the same time revealing their human face and the mundane details of their existence. A seminar is being organised which will provide Dutch and international colleagues in the field of visual ethnography with an opportunity to discuss and review Steef’s work and pay homage to him. The date will be announced soon at the website of the Institute of Cultural Anthropology and Development Sociology. Thank you, Steef, for all that you have meant to ethnographic filmmaking in the Netherlands and abroad, and for your passion and dedication that has enriched Visual Ethnography at Leiden University and inspired a huge number of students. Unknown to the fact that Steef passed away, I like to thank for him for his passionated filming. I remember still his excellent film Dichtgespijkerd. A wonderfull film series shot in Amsterdam. Thank you very much, Metje, for this blog. STeef was very dear to me, and I was not aware of his death.